Do You Have Sleep Apnea in Los Gatos? Do you wake up feeling tired even though you’ve had a full night of rest? Has your partner complained about your snoring? If you replied in the affirmative to both of these questions, then you may have sleep apnea in Los Gatos. But what is sleep apnea? How does it affect your body? How is it treated? To celebrate National Sleep Awareness Week, check out these helpful answers to your questions about sleep apnea here. Comments Off on Do You Have Sleep Apnea in Los Gatos? Most people know that screening for gum disease and other common oral health conditions is an important part of dental checkups and teeth cleanings. What many people don’t know is that keeping up with these regular dental exams and teeth cleanings may also be diminishing their risk for common chronic and systemic illnesses like Alzheimer’s disease, heart disease, diabetes, pancreatic cancer, and many others. 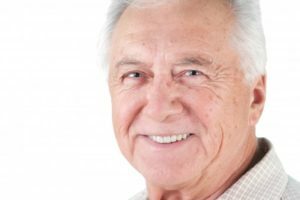 In this post, we’ll take a closer look at the potential link between gum disease and Alzheimer’s disease. A Dazzling New Smile from Your Cosmetic Dentist in Los Gatos! As the new year gets underway, you want to make a positive impact on the way you look, but how can you make that happen, and where should you start? Your cosmetic dentist in Los Gatos says an excellent way to revamp your appearance is with aesthetic dentistry. Read on to learn about the different options available to improve your smile! Comments Off on A Dazzling New Smile from Your Cosmetic Dentist in Los Gatos! When you look in the mirror, does your focus instantly turn to your imperfect teeth? Do you have several issues causing you to feel insecure about your appearance? You would like to get a perfect smile and you know your cosmetic dentist can help, but you do not have the time for multiple treatments. What if you could get the results you want using just one procedure? You can get a flawless smile with porcelain veneers in Los Gatos. Is Previous Dental Work a Road Block to Invisalign in Los Gatos? One of the goals you’ve set for yourself is to have properly aligned and better-looking teeth. So you’re considering Invisalign in Gatos to upgrade your smile. You have the following concern, though: “What if I’ve had braces or other types of dental work – does that disqualify me from receiving Invisalign treatment?” Read on to find out what your dentist has to say! Comments Off on Is Previous Dental Work a Road Block to Invisalign in Los Gatos? Learn About the History Behind Sleep Apnea Treatment in Los Gatos! Sleep apnea wasn’t well understood for many years, despite there being written records about it from 2,000 thousand years ago! In fact, it wasn’t until the last century that the causes, effects and treatments for sleep apnea were discovered. Thanks to those discoveries, patients today can reduce the impact sleep apnea has on their health and overall quality of life. The risk for high blood pressure, weight gain, depression and heart disease can all be reduced with sleep apnea treatment in Los Gatos. Not to mention that sleep quality and energy levels go up as well. Learn more below about the history of sleep apnea and how an oral appliance from your dentist can help! Comments Off on Learn About the History Behind Sleep Apnea Treatment in Los Gatos! Millions of people face daily struggles because of sleep apnea. This disorder can rob you of precious shuteye, making you drag your feet from day to day. Even worse, it can lead to serious systemic health problems. But there is hope! If you have been diagnosed with obstructive sleep apnea in Los Gatos, there are some simple things you can do to reclaim your shuteye and live a full life. Dentists have used crowns and bridges for decades to rebuild damaged teeth and replace missing teeth. Both are permanently bonded into place, so you don’t have to think about a denture coming loose or the need to remove the prosthetic for cleaning. 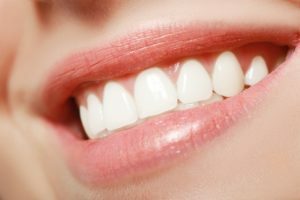 With a dental crown, a dentist in Los Gatos can restore a damaged tooth, and a bridge can provide tooth replacement to rejuvenate a smile that has suffered tooth loss. Learn Your Options for Treating Sleep Apnea in Los Gatos Today! 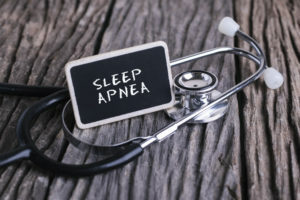 If you suspect that you have sleep apnea in Los Gatos, it’s incredibly important that you take a moment to consider your treatment options. While it may seem like something you can put off, failing to do so can result in decreased productivity, increased levels of fatigue, and even a higher risk of certain diseases. Luckily, there are options out there, so you don’t have to settle for inadequate sleep or struggle through your work day any longer. Keep reading to learn what you can do. Comments Off on Learn Your Options for Treating Sleep Apnea in Los Gatos Today! If you have an upcoming dental procedure or oral surgery in Los Gatos, your safety is a natural concern. In addition to successful results, you want to ensure that you are protected against unnecessary infections. Now, you can benefit from ozone in your dental care. While you may be thinking about the atmosphere, this is not the case in dentistry. This refers to a special sterilization process to kill harmful bacteria while also enhancing the healing process. Using a controlled application process, you will benefit from a safer and more effective procedure with fewer side effects.